News :: Lowest Prices of the Year! - Glide Bikes - Balance Bikes for 18 months to 10 years old! Home/News/Lowest Prices of the Year! Date added: 11/25/2014 Lowest Prices of the Year! Lowest Prices of the Year, Now through Monday! What is more fun than the thrill of gliding? The gift of giving more while paying less of course! This weekend only we are slashing prices lower than ever before with Gliders starting at $69.99! The children in your life will be having a blast this Holiday season with Glide Bikes! Our sale begins midnight on Thanksgiving (EST) and ends midnight on Monday, December 1st. No coupon code required! 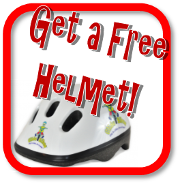 That’s right, no strings attached, a FREE helmet, just put HELMETP (for a pink helmet), or HELMETW (for a white helmet) into the Gift certificate field before checkout and you will be able to choose which color helmet you would like to have. You can use either HELMETP, or HELMETW once per order. 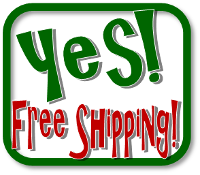 With free shipping on every bike order we make it simple to shop with us! Be sure to plan ahead for Holiday shipping schedules so that your gift arrives when you need it to. Get the Bike you Want! Be an early bird shopper and secure your choice of color and model. We recommend ordering the bike you want before the rush to ensure the Glide Bike you want delivered to your doorstep is the perfect one for you and your family. Check out our selection of Ezee Gliders (18 months-5 years), Mini Gliders (2 years-5 years), Go Gliders (5 years-10 years) and Super Gliders (Over 10-Adults). Copyright © 2014 Glide Bikes, All rights reserved.